The full dimension of Hangzhou and Nanjing: What is the difference? As the most dynamic economic region in China, the Yangtze River Delta contributes nearly 20% of the country's GDP with 2.2% of the country's land area and 11% of the country's population. It also has 16 national GDP “trillion clubs” cities. 5 of them. Because of this, the Yangtze River Delta has always been a place where talents are competing. 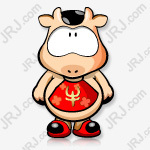 Among the provinces and cities, Shanghai is not allowed to be a big brother, but it is controlling the size of the population; Anhui still needs to work hard, and Jiangsu and Zhejiang will become the scent of attracting talents, especially in Hangzhou and Nanjing. In fact, these two cities with CP sense have always been a lot of topics, and the two are stubborn and weak. This article will conduct an in-depth analysis based on 10 dimensions, and give a simple score, and also provide a reference for those who intend to settle down. First of all, of course, the economic status of a city is determined. From the perspective of economic aggregates, the gap between the two has always been very weak. Specifically, Hangzhou's GDP broke through the trillion mark in 2015, and Nanjing has caught up with it one year later and ranks among the “trillion clubs”; in 2018, the economic scale of Hangzhou and Nanjing was 1.35 trillion yuan respectively. 1.27 trillion yuan, ranking 10th and 11th in the GDP rankings of cities across the country, the degree of glue can be seen (see Figure 1). If GDP is the “face” of the city, then the fiscal revenue is the “lizi” of the city. 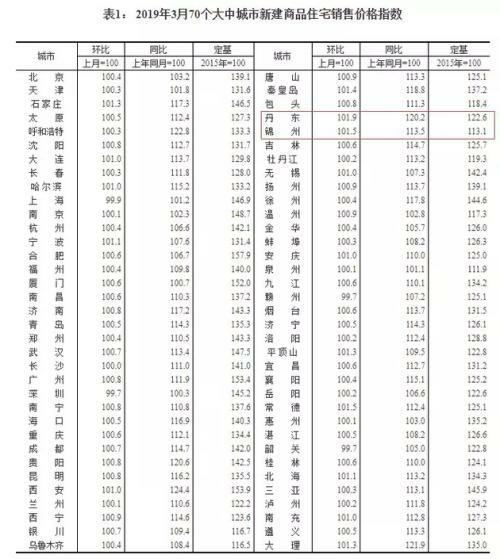 According to the financial income of major cities in 2018 according to the first financial statistics, the money bags of Hangzhou and Nanjing performed equally well, with growth rates of 16.44% and 15.57% respectively, ranking 7th and 10th respectively in major cities. (See Table 1). Conclusion: In terms of economic strength, Hangzhou has 10 points, Nanjing has 9 points, and Hangzhou wins. Although Hangzhou's economy has the upper hand, the per capita GDP is better in Nanjing. The data shows that since 2016, Nanjing's per capita GDP has been higher than that of Hangzhou, and it has gradually widened (see Figure 2). According to international standards, per capita GDP of more than 20,000 US dollars is the primary developed countries, reaching more than 30,000 US dollars is a moderately developed country. In this way, both Hangzhou and Nanjing have reached developed standards, and economic development is extremely basic and emboldened. However, in a strict sense, per capita GDP does not fully reflect the living conditions of residents, and it is more appropriate to use disposable income and expenditure. In these two indicators, Hangzhou is ahead of Nanjing (see Figure 3), reflecting that Hangzhou's economic development is of higher quality and residents have a stronger sense of ownership. Therefore, the overall economic strength of Hangzhou is still slightly stronger than that of Nanjing. Conclusion: In terms of residents' living conditions, Hangzhou has 10 points, Nanjing has 9 points, and Hangzhou wins. After analyzing the scale of the economy, look at the industry. The current industrial structure of the two cities shows a “three two one” trend, and the tertiary industry accounts for more than 60% of GDP. It is worth noting that the tertiary industry in Hangzhou is developing very rapidly, and its share has risen from 46% in 2008 to 64% in 2018, which is related to the development of the Internet and the real estate industry; in contrast, 2018 Nanjing's secondary industry accounted for 36.83%, which is higher than Hangzhou's 33.8%, suggesting that Nanjing's industry occupies an important position in economic development. Further comparison of the total industrial output value of the two cities shows that Nanjing surpassed Hangzhou in 2013 and has remained ahead since then (see Figure 4), which is attributed to Nanjing's developed heavy industry and manufacturing. In practice, Nanjing's advanced manufacturing fields such as new energy vehicles and new materials have performed quite well and have gradually become local leading industries. The report released by the Ministry of Education's major project on philosophy and social sciences pointed out that Nanjing ranks first among the top ten cities in China's manufacturing industry, confirming that the real economy of Nanjing is more solid. As for the tertiary industry, you can choose to represent the two areas of finance and the Internet. In the former case, in 2017, Nanjing's financial sector accounted for nearly 12% of GDP, which is higher than Hangzhou's 8%, and it is still leading in absolute size after 2014 (see Figure 5). In fact, in the “China Financial Center Index” evaluation issued by the China (Shenzhen) Comprehensive Development Research Institute, Nanjing's financial industry performance ranks fourth in domestic cities, second only to Beijing, Shanghai and Shenzhen. On the Internet, Hangzhou, which has two giants, Alibaba and Netease, clearly has an absolute advantage, while Nanjing is relatively weak. Conclusion: In the leading industry, the two cities represent different economic development models. The real economy of Nanjing is stronger and the new economy of Hangzhou is better. The importance of the two is equal to the development of the national economy. Both are 9 points and are tied. In economic activities, people are the most important factor. In terms of scale, the permanent residents of Hangzhou and Nanjing in 2018 were 98.06 million and 8.346 million, respectively, both of which met the “mega-city” standard (see Figure 6). At the same time, the population size of the two populations showed an increasing trend year by year. The side reflects the strong economic vitality of the two cities. Look at the demographic structure. In recent years, the aging population of Hangzhou and Nanjing is gradually deepening. According to the household registration statistics, the proportion of population aged 65 and over in Hangzhou and Nanjing reached 14.64% and 14.07%, respectively, which met the “deep aging” standard in the international standard of classification (that is, the proportion of elderly people over 65 years old exceeded 14%). While Hangzhou is relatively more serious, this burden on the future economic growth of the city should not be underestimated. Conclusion: In terms of population size and structure, the two cities have a score of 8 points. According to the 2018 Fortune China Top 500 list released by Fortune.com, 17 companies in Hangzhou entered the list, while there are 12 in Nanjing (see Table 2 and Table 3). In addition, compared with the overall ranking of the top ten companies in the two cities, the total revenue and the total market value, Hangzhou is far better than Nanjing. The development of the private economy in Hangzhou is obvious to all. In Table 3, it is almost a private enterprise. In another list of "Top 20 Chinese Private Enterprises in 2018", Hangzhou has 36 companies, which ranks first in the country for 16 consecutive times, while only 11 in Nanjing. In addition, as of the end of 2018, Hangzhou has 172 listed companies, ranking the fourth in the country, second only to Beijing, Shanghai and Shenzhen, while Nanjing has only 84; Zhejiang Province has a unicorn enterprise with a valuation of more than $1 billion. 23, Hangzhou accounted for 22. However, it cannot be assumed that the overall strength of Nanjing enterprises is much less than that of Hangzhou. This has a lot to do with the different industrial structures of the two cities and the leading industries. As can be seen from Table 3, Nanjing's industrial competitiveness is mainly reflected in the service industry, such as trade and finance, while Hangzhou is more like a manufacturing city before the rise of Alibaba. At the same time, the service industry is relatively more dispersed, and it is not easy to form a monopoly. Naturally, it is more difficult to come up with some particularly large enterprises. The manufacturing industry is different, it is easy to concentrate resources and strength, and form a scale effect. Therefore, large enterprises will have more some. Conclusion: In comparison, 10 points in Hangzhou, 7 points in Nanjing, and Hangzhou. Urban economic development is inseparable from infrastructure construction, and transportation is a valuable measure. In terms of airport construction, Hangzhou has a heavyweight Xiaoshan International Airport. By the end of 2018, the airport had opened 292 routes, including 51 international routes and 7 Hong Kong, Macao and Taiwan routes. Air passenger throughput reached 38.24 million passengers, and cargo and mail throughput was 641,000 tons, up 7.5% and 8.7% respectively. In terms of subway operations, up to now, there are 3 subway lines in Hangzhou, with an operating mileage of 118 kilometers and an average daily passenger flow of more than 1.5 million passengers. In order to meet the 2022 Asian Games, the total length of the Hangzhou Metro construction is about 330 kilometers, which will form the subway line 1 to 10. In contrast, the Nanjing Metro has opened 10 subway lines with a total mileage of 378 kilometers (see Figure 7). The total length of the line is the fourth in the country (after Shanghai, Beijing and Guangzhou). In 2018, the average daily passenger traffic of the Nanjing Metro reached 3.4 million passengers. By 2030, the Nanjing Metro plans to build 25 subway lines with a total length of 1011.2 kilometers. It can be seen that Nanjing has a more complete subway network, which has produced great benefits in relieving traffic pressure in the city and building a city bus network. From the overall public transport comfort, Hangzhou is limited by natural and geographical conditions, the urban area is small, and there are many tourist attractions, resulting in a relatively small urban space, and the links between the various functional sectors are relatively close; plus the urban population and vehicles Rapid expansion, traffic congestion can be described as normal, and traffic comfort is not as good as Nanjing. Conclusion: In transportation, 7 points in Hangzhou, 9 points in Nanjing, and Nanjing wins. Culture is the most significant IP of the city, which directly determines its humanistic charm; and the environmental experience is the face of the city, which directly determines the goodwill of foreigners. Hangzhou has been a picturesque city since ancient times, and its cultural atmosphere is extremely strong. Since the Tang Dynasty, Hangzhou has been carrying the infinite imagination of the literati and the enthusiasm of Jiangnan. It is the so-called "Jiangnan recall, the most memory is Hangzhou." At the same time, Hangzhou has 109 A-level scenic spots, including three 5A-level (Hangzhou West Lake Scenic Area, Qiandao Lake Scenic Area, Xixi Wetland Tourist Area). In 2018, the total tourism revenue reached 358.91 billion yuan, an increase of 18.0%. The total number of people was 184 million, an increase of 13.0%. As for Nanjing, “Jiangnan Jialidi, Jinling Emperor State”, Nanjing, as the ancient capital, is no less than Hangzhou in terms of cultural charm and historical heritage. In the Confucius Temple, the scholars drink alcohol and poetry; on the banks of the Qinhuai River, the sound of the squeaky sounds; the ordinary life in the old alleys and the winding winds of the Republic of China... The bones of Nanjing still maintain the elegance of being unsettled. 56 national A-level scenic spots, two 5A-level scenic spots (Zhongshan Scenic Area, Confucius Temple Qinhuai River Scenic Belt) also support Nanjing's status as an excellent tourist city and a national historical and cultural city. According to the "2018 City Cultural Travel New Gravity Ranking" released by the First Financial, Hangzhou and Nanjing ranked seventh and eighth. One is the graceful "Jiangnan Intention", and the other is the deep "Ten Dynasty Metropolis", but it is hard to distinguish. Conclusion: In the human environment, taking into account the status of Nanjing's ancient capital, Hangzhou 9 points, Nanjing 10 points, Nanjing wins. In contrast, Nanjing is a city with extremely rich educational resources. There are 211 and 985 universities, many of which are famous universities such as Nanjing University and Southeast University. In the ranking of the top two universities in China, Nanjing is second only to “Education First City”. Beijing (29) and the international metropolis Shanghai (13) ranked the third in the country in terms of the number of 12 (see Table 4), which is enough to see the strength of its science and education. Conclusion: The strength of science and education, 8 points in Hangzhou, 10 points in Nanjing, Nanjing wins. Hangzhou's technological strength is more reflected in the enterprise level, especially holding the Alibaba ace. In fact, Ali's contribution to Hangzhou is not only to bring the Internet, but more importantly, to fundamentally change the urban temperament of Hangzhou, from a manufacturing city to a technology city. Today's Hangzhou is already an important part of the global Internet and global data network. Nanjing's scientific and technological strength is reflected in basic research. Thanks to the rich and high-quality educational resources of the local, Nanjing's scientific research level is very close to the country. According to the "2018 Nature Index-Scientific Research City" released by the British "Nature" Supplement, among the top 50 global research cities, Nanjing ranks 12th, while China ranks third, after Beijing and Shanghai; Hangzhou is on the list. Only ranked 33rd. It can be seen that the title of “Tianxiashu” in Nanjing is by no means a name. Conclusion: At the level of science and technology, taking into account the significance of basic research, Hangzhou 8 points, Nanjing 9 points. In the past two years, Hangzhou and Nanjing have been quite eye-catching in the nationwide “grabbing war”. However, when the settlement is no longer a problem, then it is necessary to rely on the city's attractiveness to win more talents. 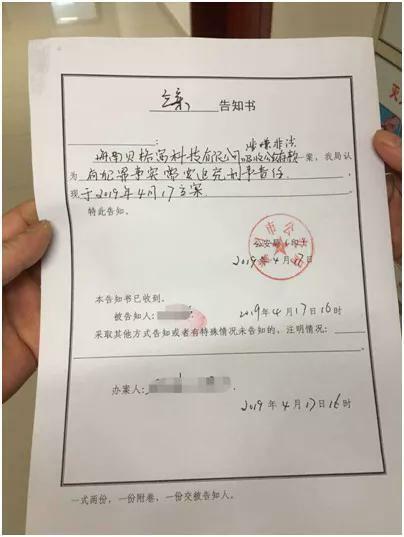 Specifically, according to the “Talent Attraction Report” issued by the online recruitment platform BOSS, in terms of salary, the average monthly salary of the 50-city white-collar workers in the fourth quarter of 2018 is 8,317 yuan, and the average monthly salary of Hangzhou is close to the million-yuan mark. The ranking is closely followed, but in absolute terms it is slightly lower than Hangzhou; in terms of talent attraction index, Hangzhou is 2.79, which has ranked the top two in the country for three consecutive quarters, while Nanjing ranks seventh with 1.98. (See Table 5), obviously behind Hangzhou. Conclusion: City attraction, Hangzhou 10 points, Nanjing 8 points, Hangzhou wins. As for who's comprehensive strength is stronger, the answer is actually not that important. However, if you have to reach a final conclusion, then you may wish to refer to the sum of the scores of the above indicators - Hangzhou 89 points, Nanjing 88 points, Hangzhou's comprehensive strength is slightly stronger. Of course, the author's points will inevitably be subjective and not authoritative, but one thing is beyond doubt: the two cities have achieved metamorphosis, this is not the same. Yesterday's Hangzhou contributed silk, tea, porcelain and poetic “West Lake Culture” to the world. Now it is going global as an important pole of the global Internet and exporting cloud computing, big data and mobile payment that can represent China's wisdom. In the past, Nanjing showed the Chinese civilization, poetry and paintings and colorful lifestyles to the world. Nowadays, it is holding the advanced manufacturing and cutting-edge achievements to go abroad.